Novara di Sicilia is a town where you feel the Christian spirituality, during the year, even today, is in fact punctuated by events and religious holidays, some of which are of great importance, such as so-called 'Assumption Apotheosis'. A Novara di Sicilia there are churches of great beauty, places of Christian worship that show how strongly even today the town with great spirituality alive their social life. Each district has its own church, where it is venerated statue of the saint to whom the temple is named: there are, therefore, St. Francis, from the Middle Ages, those of St. Anthony, St. Nicholas, St. George, Annunciation and Abbey, which once was part of the second monastery erected by Cistercians in Novara di Sicilia. The Cathedral of the Assumption is the mother of the village church, the outside has a magnificent monumental facade in late-Renaissance style, with sandstone staircase and a high bell tower, while its interior contains priceless treasures, as many paintings and shovels altar, marble washbasins, wooden sculptures, but mostly you can see the crypt and precious works (for example the jar of Saint Hugh Abbot, the censer in the Swabian period bronze, vestments, etc.) ranging to form the 'Treasury Museum of the Cathedral'. The Cathedral is dedicated to the Blessed Virgin Mary of the Assumption, patron of Novara di Sicilia and celebrated on August 15. But every five years the 'Feast of the Assumption' becomes the "Apotheosis of the Assumption", the traditional procession of the Virgin Mary is accompanied by statues of 15 saints for the occasion we will be hosted at the Duomo. 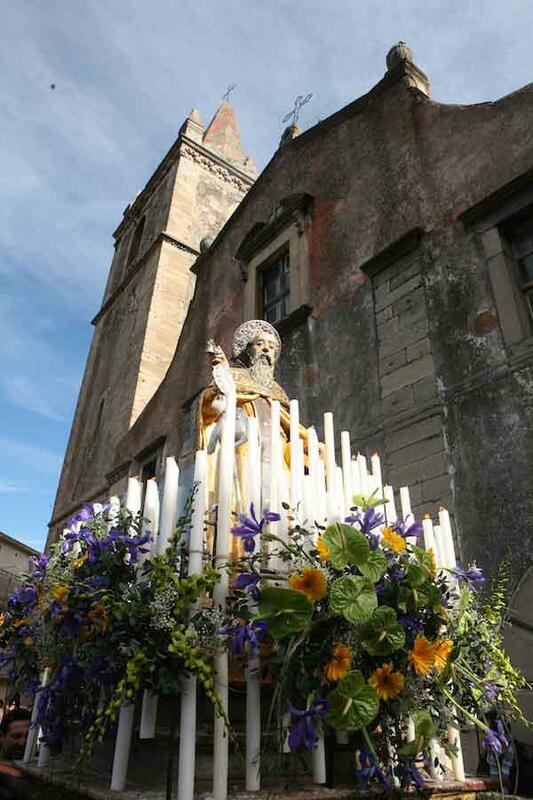 The five-year festival is certainly one of the most beautiful and heartfelt religious processions in all of Sicily, a unique opportunity to discover the great spirituality of Novara di Sicilia.